We constantly encourage collaboration with partners having contemporary and break-through technologies relevant to combat platforms. Tata Motors has been associated with the country’s defence and security forces for over 60 years and has supplied over 125,000 vehicles to the Indian military and paramilitary forces. Our products and services meet the stringent requirements of global markets. We manufacture a range of defence vehicles which covers the entire military spectrum from logistics to front line combat. We made our foray into the combat segment with Kestrel, India’s first 8x8 Wheeled Armoured Amphibious Platform, which was jointly designed and developed with the Defence Research and Development Organisation (DRDO). Modernisation and system upgrades of existing in-service mobility platforms is yet another focus area. 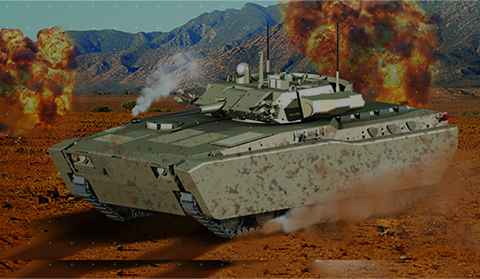 Tata Motors Defence Solutions is also a serious contender for the Indian MOD’s upcoming Rs.60,000 Crore Futuristic Infantry Combat Vehicle (FICV) program. We are looking for long-term, cohesive relationships with state-of-the-art technology providers whose value systems are in line with the Tata Motors Code of Conduct. With this vision, we welcome interested technology providers and sub-system original equipment manufacturers who would like to be a part of our supplier community.